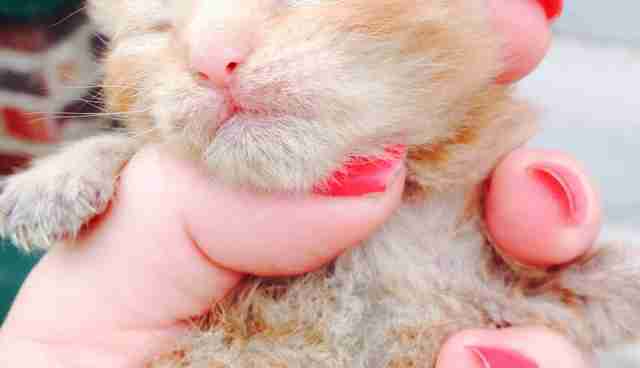 After a brutal blaze demolished dozens of apartment homes in Jeffersonville, Indiana, the landscape was lifeless for days - until firefighters discovered the source of some teeny tiny meows among the rubble. 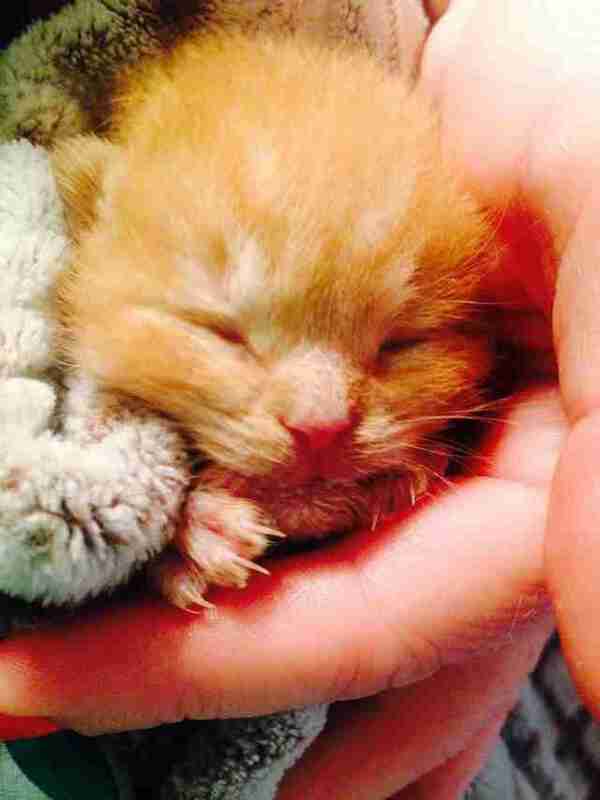 The littlest kitten had the biggest will to survive. 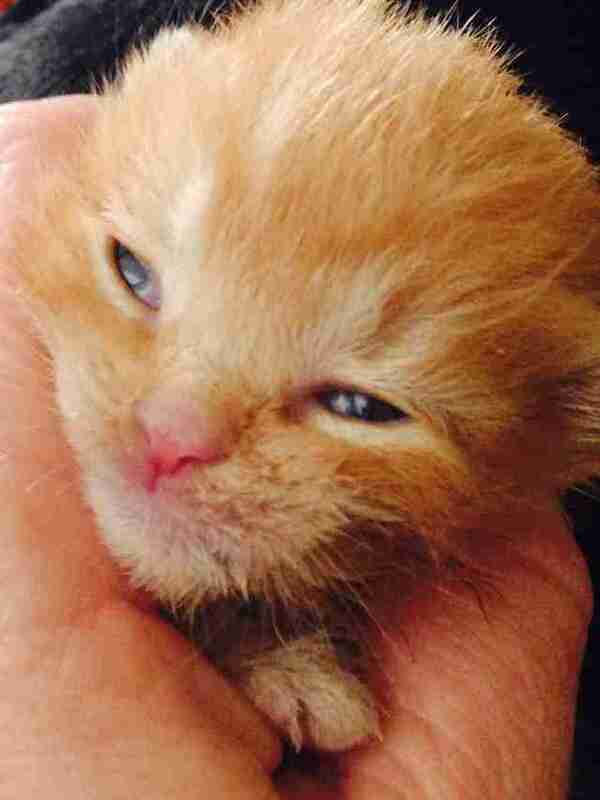 Rescue workers named him Miracle. Seven cats died in the fire, reports ABC 7 Chicago. 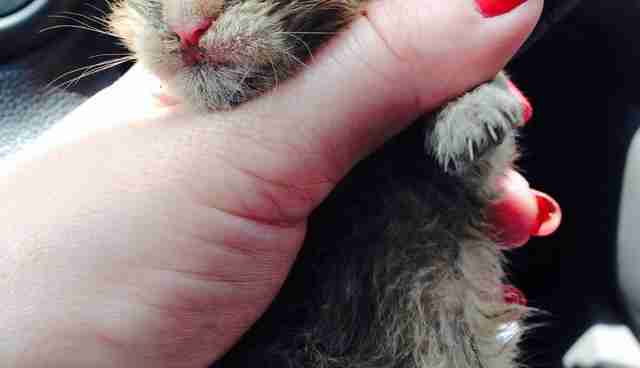 Miracle's family was told the tiny cat had also perished. "Pets are like family members. So it's like losing a family member," Jeffersonville Fire Captain Rusty Hall, who found Miracle, told ABC. 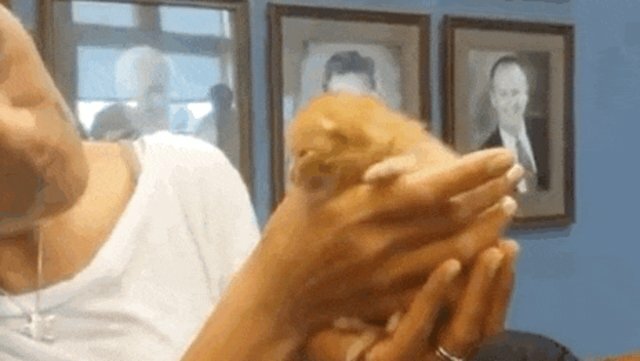 Under two pounds, the tiny orange tabby just started purring at J.B. Ogle Animal Shelter, where he is recovering. "It's hard to believe this loud, healthy kitten was pulled from the rubble of the Bridgepoint Apartment fire less than a week ago!" Jeffersonville's Facebook page posted as a "MIRACLE UPDATE." "He visited the Jeffersonville Board of Public Works meeting today brightening the lives of all who met him." The blaze demolished an apartment complex and left many people and their pets without homes. Sadly, Miracle's parents, who were with him in his apartment, perished in the fire. 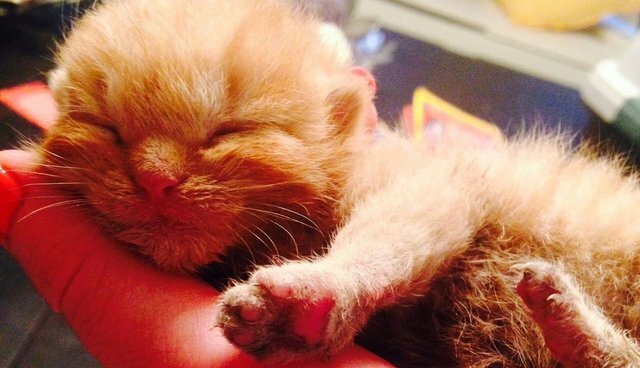 How did this tiny cat, not even two pounds, survive? "I believe it was a miracle that we found him," Captain Hall told ABC.